Unlinked Refunds: With this release, unlinked refunds are allowed. User can create independent A/R Credit Notes and perform refunds using Banking à Incoming Payments. CVV No. : With this release, CVV number field has been made available for all the payment gateways. The entered CVV number can be transmitted to payment gateway for Credit Card authorization. However, iCharge never stores the CVV number in database. Direct Sale: With this release, the partially settled card can automatically be used for settling the unsettled partial document amount through direct sale. iVend Retail has considerably helped TOPGOLF in smoothly upgrade to a Retail system that gave accurate, reliable & integrated Data in a very short time span. 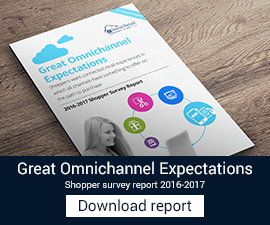 Customer now is fully functional on a unified solution that leverages every customer touch point and connects the entire retail operation—with a goal of knowing, engaging with, and serving their customers better. All of company’s 16 stores are connected to the same backend server & iVend’s failsafe integration with SAP keeps the Head Office always connected with the store operations across the complete Retail chain. iMatrix 5.5.1 is released today. This version of iMatrix – Item Matrix Solution for SAP Business One is now available in 4 additional languages. Adding Child items on marketing documents: With this release, user can also add the child items through Item Catalogue button even if there are no 2D parent items in the system. Inventory For Matrix Item Report – Due to a bug in the previous release of item matrix, the report was not considering the “Hide items with no quantity in stock” and “Matrix items only” parameter. This has been fixed in this release. Purchase Order – Due to a bug in the previous release of item matrix, the Purchase Order screen would freeze on updating the purchase document. This has been fixed in this release. Co-existence of Item Matrix with Inventory Pro add-on on SAP Business One 8.8 & 8.81 – Due to a bug in the previous release of item matrix, the system would return a runtime exception while creating a marketing document. This has been fixed in this release. Sort Order of Attributes: Due to a bug in the previous release of item matrix, while attaching the attributes to a parent item in Define Item Attribute screen, the list of attributes displayed where not sorted. This has been fixed in this release and now the sorting would be on Attribute name and Attribute value column. Hiding Sales Related and Purchase Related Information in SKU screen: Due to a bug in the previous release of item matrix, while checking the Hide Purchase Related Data and Hide Sales Related Data check boxes, system hides purchase and sales related information. But once screen is closed and reopened the system was keeping this information hidden. User was required to again check and uncheck these check boxes to get this information visible. This has been fixed in this release. iCharge 10.5 is released today. 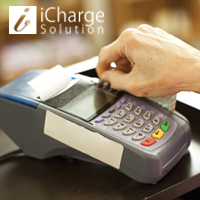 iCharge – Credit Card Solution for SAP Business One is an improved version over its predecessors. Inventory Pro 6.6.0.0 is released today. This version of Inventory Pro greatly enhances the usability of the application by providing useful features and tools. While the enhanced feature set helps to improve the processes efficiencies, the tools enable faster and better implementation of Inventory Pro. Inventory Pro Setup Wizard – This release incorporates a setup wizard which will guide the user through the sequence of steps for configuring the solution. On-Line Help – This release incorporates screen sensitive help. Users can press CTRL+SHIFT+P to bring up the help for the active screen. Sample Pick Ticket Reports – Sample Pick Ticket reports have been included in the add-on. The sample reports will be placed under the \CTX\Inventory Pro\Sample Reports folder on installation. These sample Pick Ticket reports can be used as a reference / starting point for report customization. A guide for customizing Pick Ticket reports is also included with the product documentation. GUI for generating the RF Configuration File – The Inventory Pro add-on includes a new screen for defining various RF configuration parameters and exporting a RF Configuration file based on the defined parameters. Installer Enhancements for Inventory Pro services – Installers for Inventory Pro services include a GUI for defining the connection parameters during the install routine. FIFO Allocation Method – In the previous release of the Inventory Pro Add-on, stock was not appropriately allocated as per the FIFO Allocation rule. This has been fixed in this release. iMatrix 5.5 is released today. This version of iMatrix – Item Matrix Solution for SAP Business One is an improved release over its predecessors. This release has an inbuilt setup wizard which will greatly assist faster and accurate implementation of the solution. Item Matrix Setup Wizard – This release incorporates a setup wizard which will guide the user through the sequence of steps for configuring the solution. On-Line Help – This release incorporates screen sensitive help. Users can press CTRL+SHIFT+M to bring up the help for the active screen. Inventory Pro 6.5.0.0 is released today. This version of Inventory Pro is an improved release over its predecessors. The release is not only compatible with SAP Business One 8.81 but also has enhancements and resolutions to the earlier bugs. Compatibility with SAP Business One 8.81 – With this version, Inventory Pro is now compatible with SAP Business One 8.81 (PL03 and above). Best Fit Quantity – Allocation Method – A new allocation method “Best Fit Quantity” has been incorporated in this release. This allocation method allocates item quantities from bins which best fulfill the required quantities. Display Last Item Scanned – When doing a Stock Take in scan each mode, the RF Module will now display the Last Item Scanned. Menu Navigation – A new configuration parameter has been provided in the RF module configuration file to allow the RF user to remain on the same transaction menu or return to Main Menu. Bin Lookup Sort Order in RF Module – In the previous release of the Inventory Pro Add-on, the Bin lookup in the RF Module was only sorted by Zone Preference and not by Bin Preference. This has been fixed in this release, i.e. – Bin lookup will now be sorted by Zone Preference and then further by Bin Preference.